“Mag exercise tayo tuwing umaga, tuwing umaga, tuwing umaga” (Let’s exercise in the morning) so goes the popular Filipino novelty song. Indeed, doing exercises in the morning can definitely energize you. That fresh energy helps you get going all through the day. And we all know the awesome benefits of regular exercise: a fit body, perfect metabolism, resistance to ailments, positive disposition in life, and many others. So what’s your morning exercise? Jogging, running, brisk walking, calisthenics, or martial arts? In our daily lives, Sheila and I wake up early and go to the gym to lift weights. But if we have a lovely cliff or a lofty mountain right in our backyard, you can bet that climbing it will be our regular morning exercise! 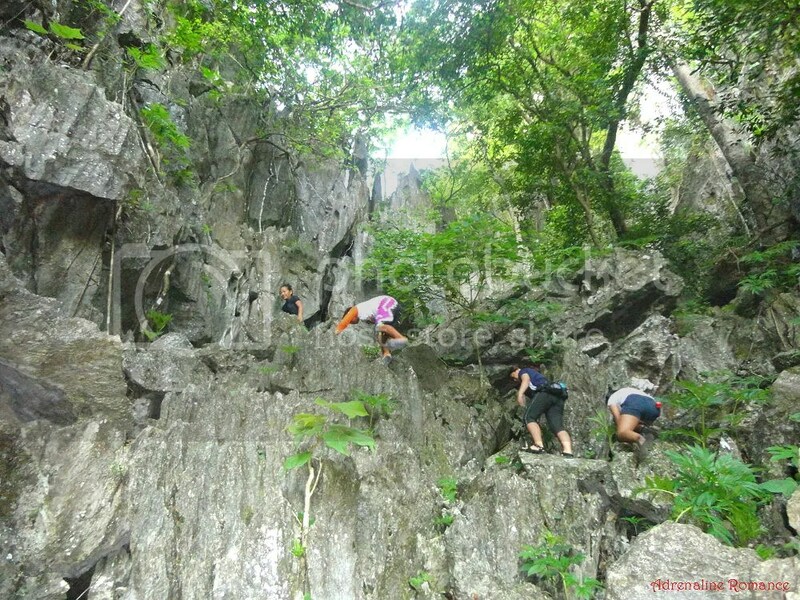 When we learned that El Nido has a limestone monolith right in the vicinity of the poblacion, we immediately knew that our dream of climbing a huge rock as a morning exercise will finally come true! 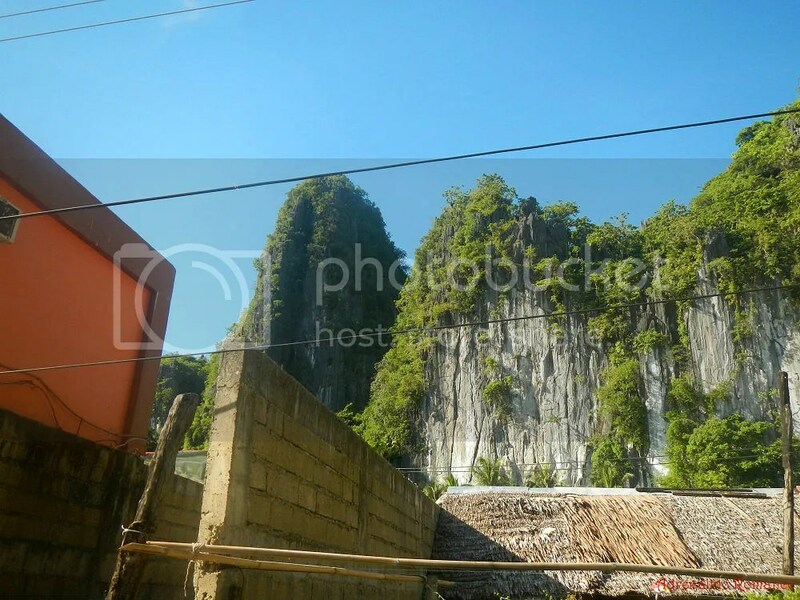 The imposing million-year-old limestone monolith looms over the poblacion, and we saw it as Mother Nature’s gym. We simply just have to climb it. So, we invited the Amor sisters and fellow climbers Agnes, Sam, and Reynen with us on this adventure—and morning exercise. Being adrenaline junkies like us, they enthusiastically agreed. See that gigantic monolith we circled in red? 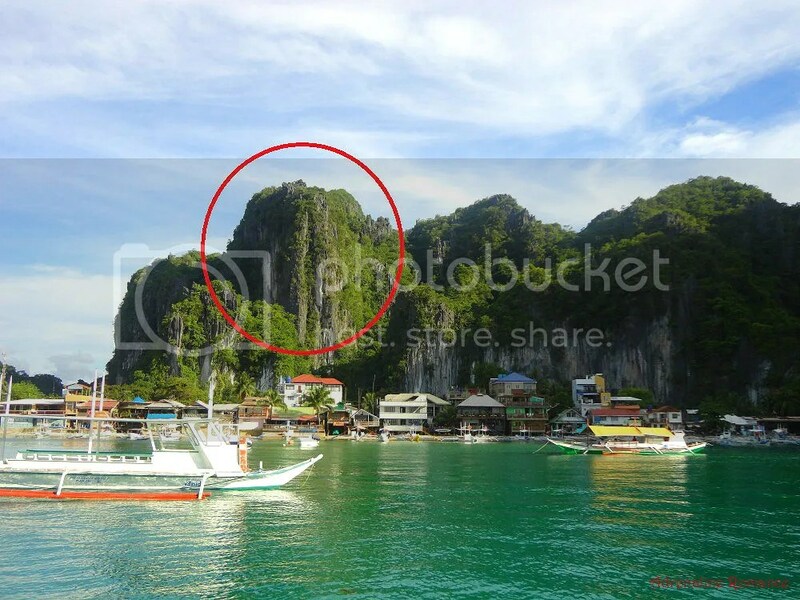 That is Taraw Peak, one of the highest points in El Nido. 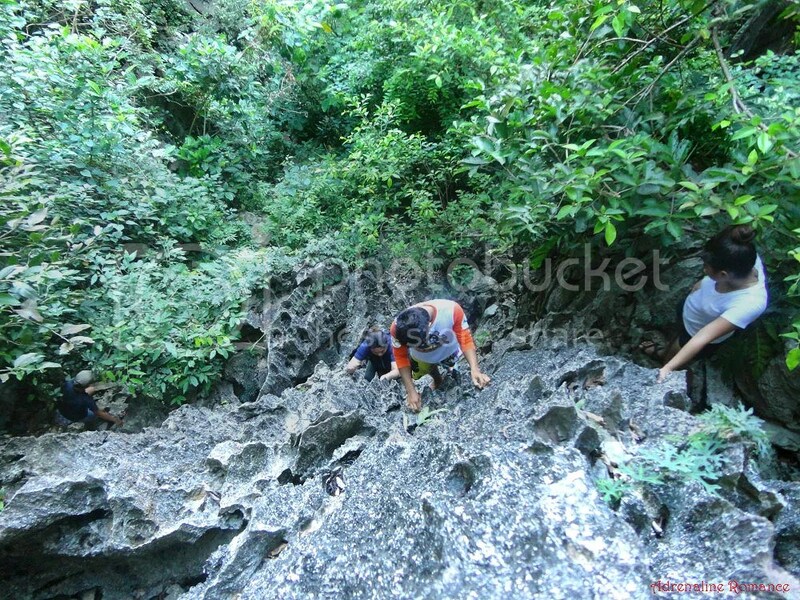 When we made our itinerary many months ago, we made sure to include climbing this peak in our adventure. Here’s another view of the mighty limestone monolith from street level. Wow, that’s one high climb, don’t you think? Most probably, it towers more than a hundred meters. It’s difficult to imagine that this monolith and the surrounding crags were all beneath the sea’s surface millions of years ago. Climbing Taraw Peak was a welcome, physically engaging activity during our island hopping tour in which we simply sat down in the boat, swam in cool waters, and basked in the sun. 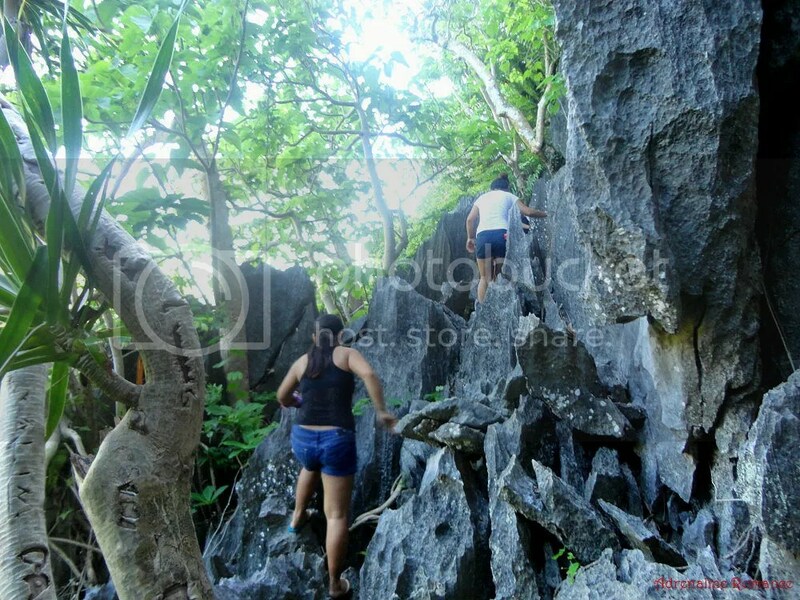 We started our climb very early on Day 2 of our El Nido sojourn. Our guide, a young local who introduced himself as DJ, met us in Arkitel. Around 5:30AM, we reached the base of the monolith after winding through the narrow alleys of the rural community, most of it still fast asleep. Along the way, we had to skirt through a stagnant pool of water. 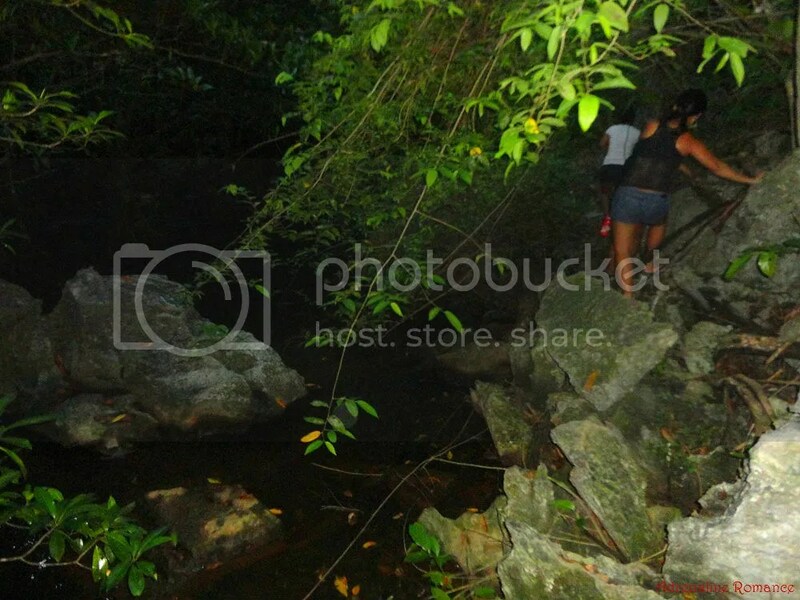 This way is a little bit tricky as the rocks are slippery; just one slip and you’ll fall through that water. 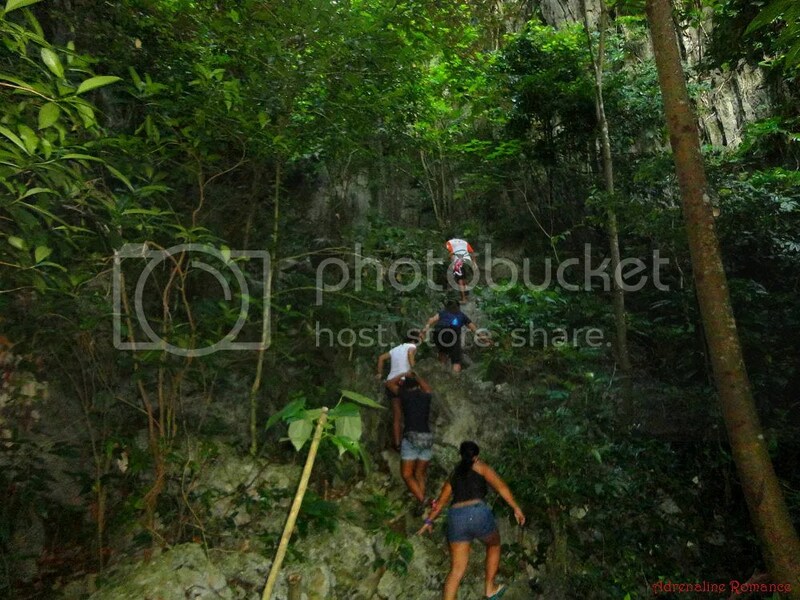 As we went deeper into the rock-filled jungle, the barely recognizable trail started to go steeply up. We had to be careful because the rocks were sharp, mossy, and wet from the morning dew. We reached this little nook where someone constructed a bench made of tree branches. Perhaps this is a resting place for woodcutters who frequent the area or for tourists like us who wish to go up the summit of Taraw Peak. We rested here for a bit; it was a welcome rest as our feet were getting sore from balancing over the sharp rocks. Our guide, DJ, is the cool guy wearing a white and orange shirt. After 5 minutes, we scrambled up the trail again. Check out the steepness of that trail. If jogging, cycling, doing aerobics, and yoga are other people’s morning exercises, climbing is ours! Oh, if only there was a climbing venue (e.g., a crag, a mountain, or a monolith) in our backyard . . .
As you may have noticed, I was wearing a headlamp. That’s because we climbed the area before sunrise. One of the highlights of this adventure was climbing one of the two vertical cliffs along the trail. Yes, vertical! 90 degrees of pure adrenaline-pumping climb! But don’t worry. Although the idea of climbing vertically seemed terrifying, we found the climb enjoyable and easy since there were plenty of handholds and footholds to secure us. Check out those ladies’ happy faces. I took the shot from the top to show you just how steep this wall is. 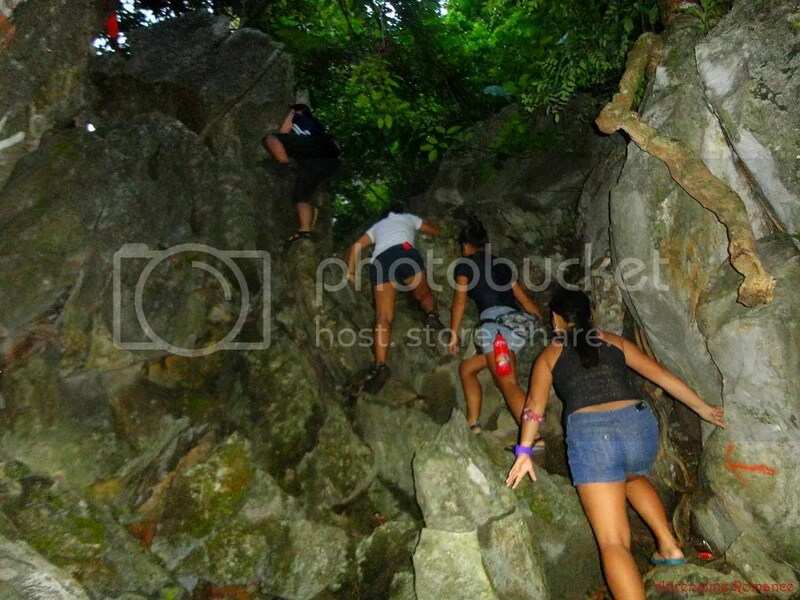 Once everyone got over the vertical wall, we scrambled up another set of huge boulders. Although the rocky trail was steeper, it was relatively easy to navigate it after the gentle light of dawn started to penetrate the forest canopy, making it easier for us to see the path. Just a few minutes after the boulder-filled terrain, we tackled the second highlight of the trail, an even taller 90-degree wall which we have to climb! Whew! Happy, excited—and pretty climbers! Trekking on wild trails and scrambling vertical cliffs like these and perhaps coupled with a bit of technical rock climbing are our idea of tropical mountaineering. Tall, ragged, gray limestone walls like these indicate that we were nearing the summit. Whew! Let’s rest for awhile, shall we? Check out the photo below: can you see how sharp these rocks are? Climbers had to be really careful here to avoid injuries. Also, behind and beside that rock outcropping where the Amor sisters were posing is a sheer drop of more than a hundred feet! Our resting area has a “hole” in the canopy where we glimpsed a view of Bacuit Bay and Cadlao Island. Not all sections of the trail were ascending, thank heavens. 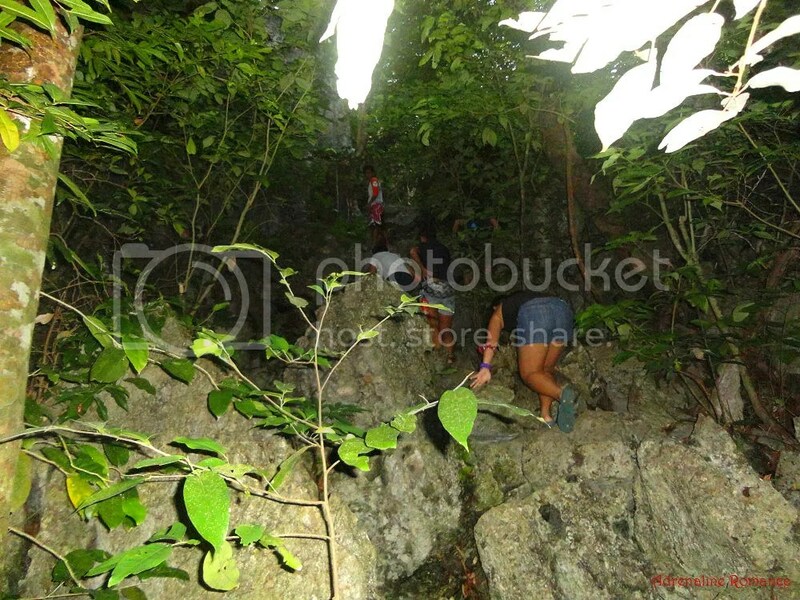 At times, we scrambled down a relatively comfortable descent although we still had to be careful with our steps. 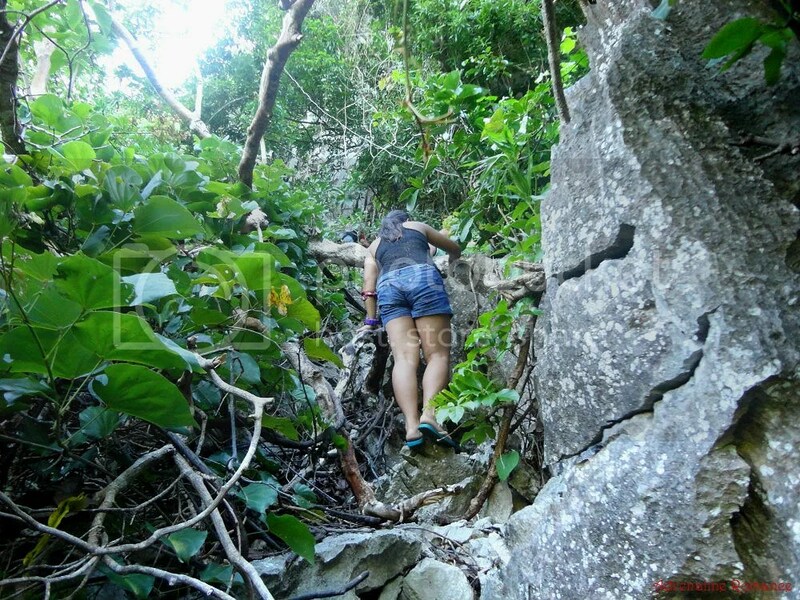 Too soon, it was another steep ascent on sharp rocks, fallen trees, and jutting roots. No worries though because DJ said we were almost at the summit. Almost there! But we still need to be careful and not let our excitement get the better of us. The rocks here were extremely sharp, and there were crevices that were several feet deep. 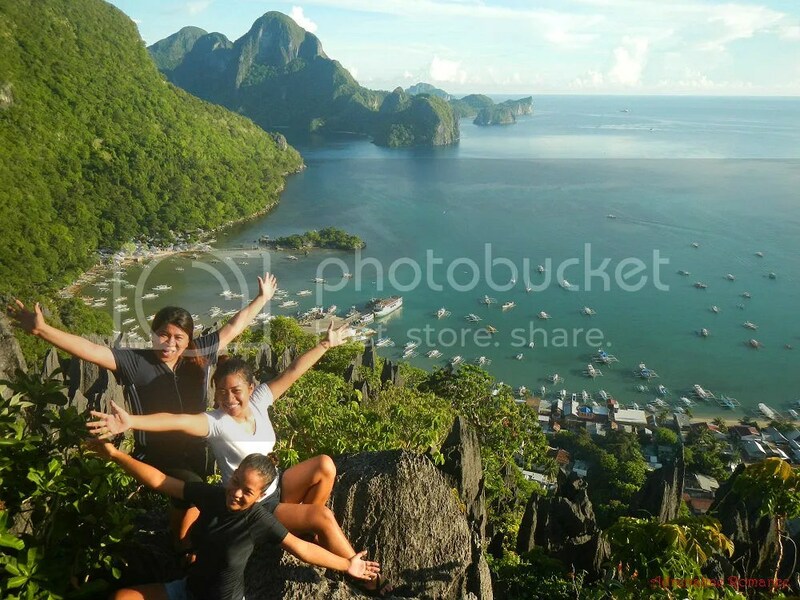 Then suddenly, seemingly without even a subtle hint, we were at the top of El Nido! We looked at our watches; it took us almost an hour to reach the glorious summit of Taraw Peak! That’s the southwestern view of the crag-filled town. The way to the summit where we came from lay behind those jagged rocks. 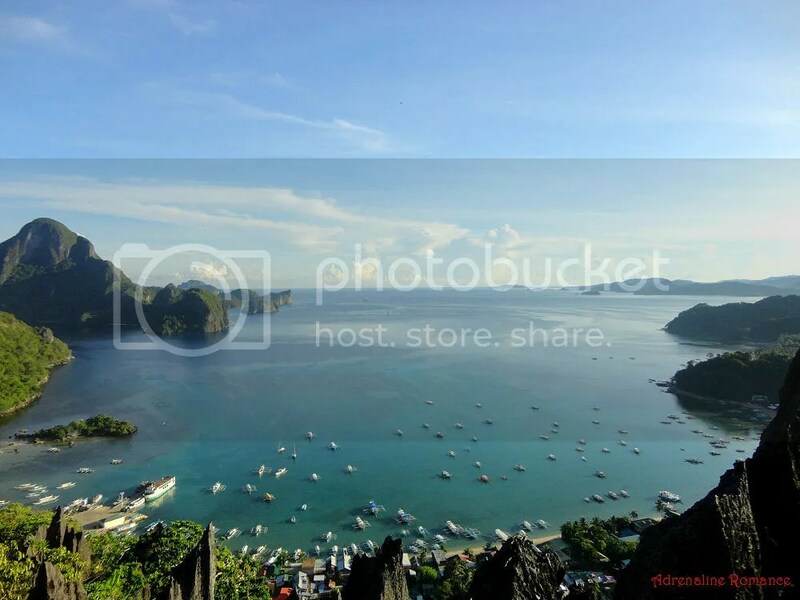 What a splendid view of the azure Bacuit Bay! Indeed, our sweat, cuts, tired feet, and scrapes were all worth it! 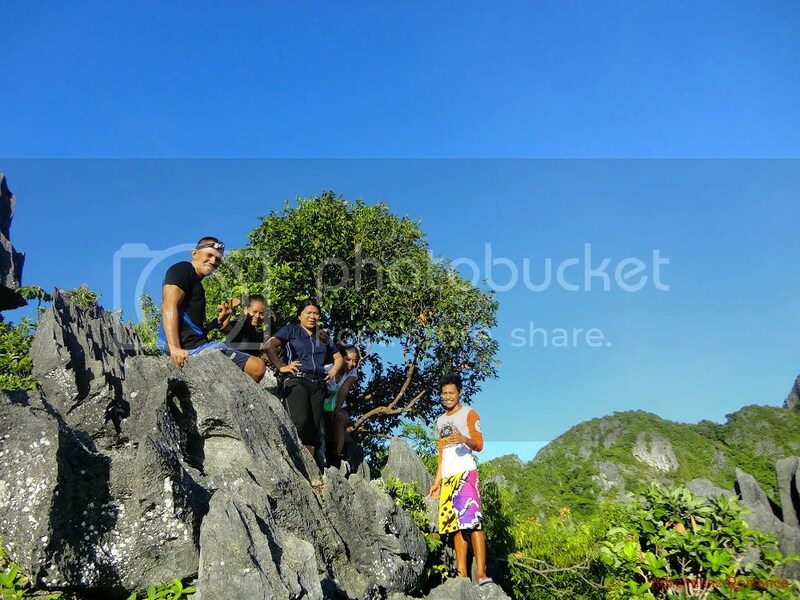 Agnes, Sam, and Reynen let out a huge whoop of delight upon seeing the one-of-a-kind beauty of the bay and upon reaching the top of El Nido. Special congratulations to Reynen; this was her first time to scramble up a monolith. 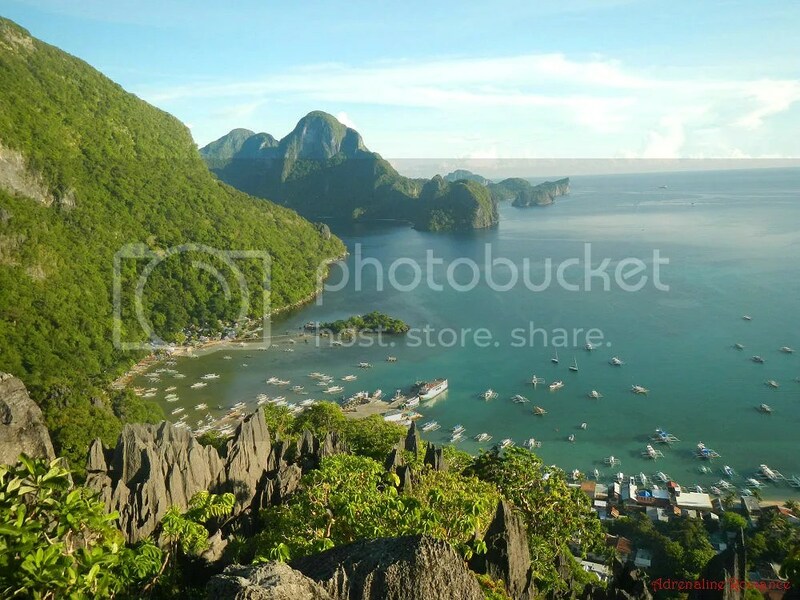 That’s the southwestern side of El Nido. 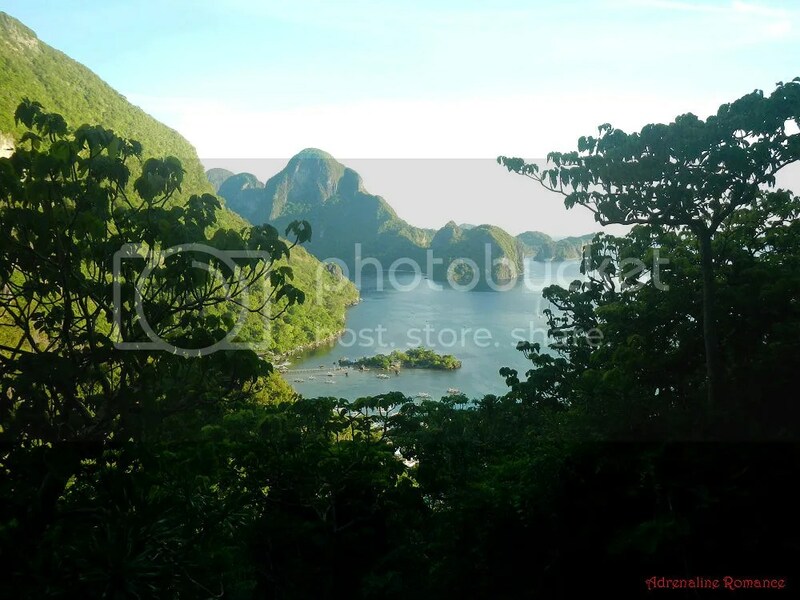 If you check out the lower center of the photo, you would see a white ferry docked at El Nido’s pier. Although El Nido is remote, there are a number of ferries servicing routes from Manila, Busuanga, Coron, and Sabang. 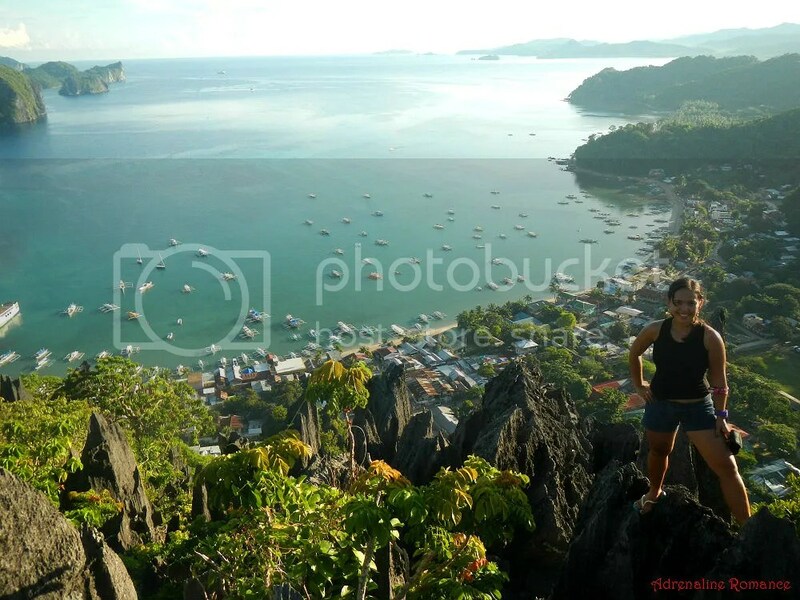 From this vantage point, verdant Cadlao Island and a few islands behind it are very prominent. Be careful, Sweetie! From this point, you can just see how small the summit area is. Around those jagged rocks are very treacherous drops that are hundreds of feet deep. Moving around on the summit area is quite safe; there are plenty of handholds and footholds. However, it pays to take extra care. After all, showing your utmost respect for Mother Nature almost always ensures your survival and your pleasant experience in enjoying her wonders. Enjoying the view, Sweetie? The entirety of the charming El Nido Poblacion can be witnessed here. This was taken around 6:30 AM, and the sleepy town was still waking up. Here and there, we could hear the drone of motorcycles revving up. We could smell the fragrant, mouthwatering scent of a hot breakfast being prepared. After half an hour at the summit, we started our descent; we need to be back in Arkitel at around 8AM to prepare for our next island hopping tour. Yes, we know what you’re thinking after seeing the photo below. Really scary, isn’t it? Indeed, it is! Getting down the vertical wall was much more challenging than ascending it! 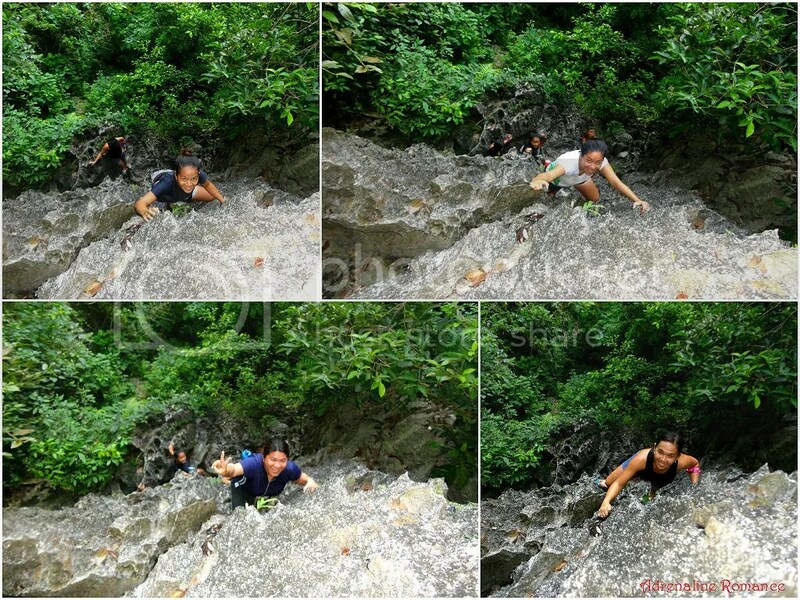 It was definitely an adrenaline-quaking adventure even as we negotiated the last sections of the trail! Thank you very much, Agnes, Sam, and Reynen for joining us. Congratulations, Reynen, for your first successful scrambling adventure. And thank you too to our wonderful and friendly guide DJ who safely showed us the way up the mighty Taraw Peak. 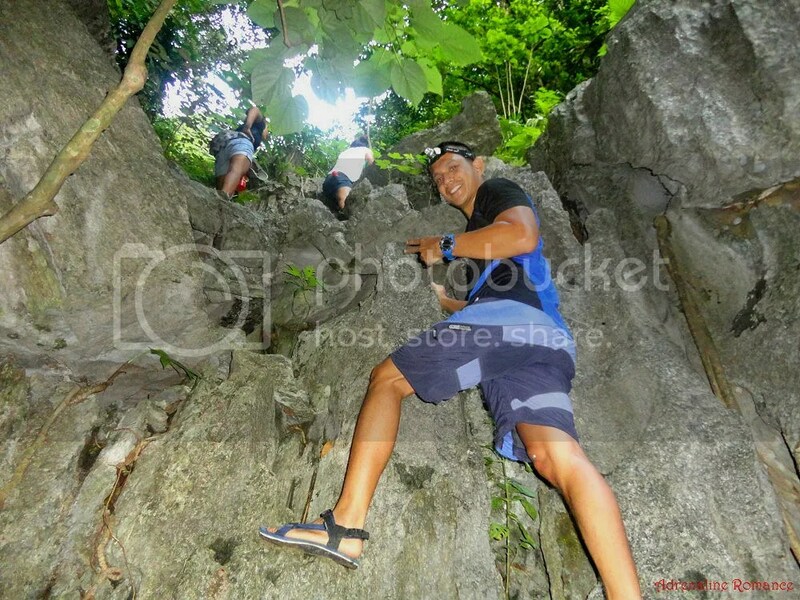 Indeed, climbing Taraw Peak was a one-of-a-kind experience. 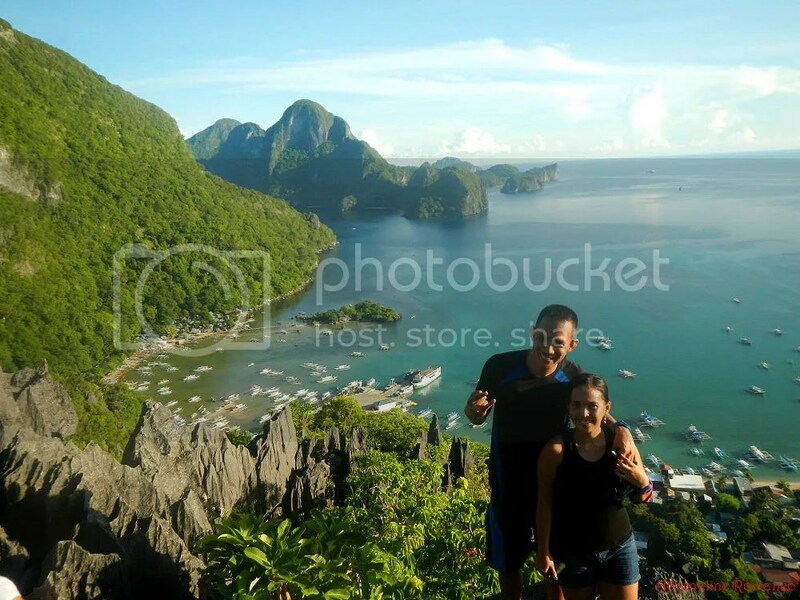 Not only did we engage in a healthy, energizing, and ideal morning exercise but we also had the privilege to witness sleepy El Nido and the surrounding magnificent Bacuit Bay from a place that is nearer to the clouds. 1. 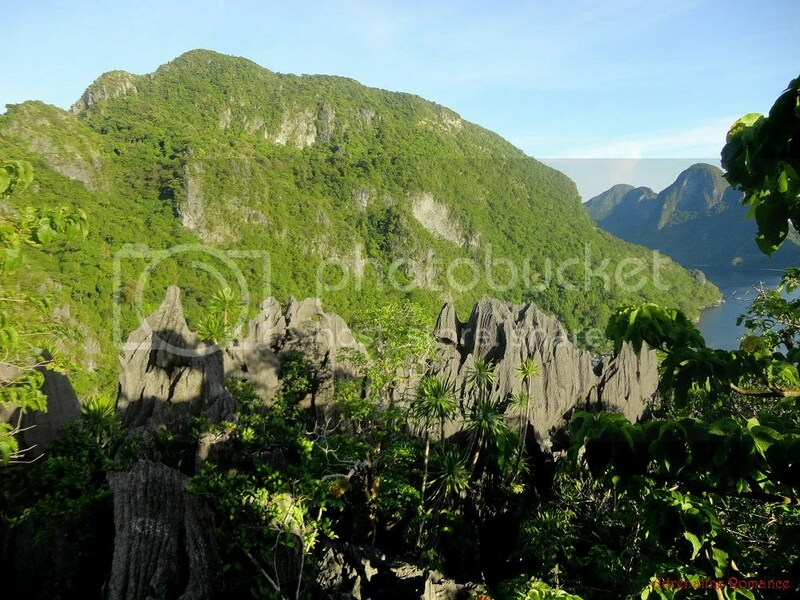 You need the services of a local guide if you wish to climb Taraw Peak. Ma’am Mylene of Victoria Guest House in Puerto Princesa got in touch with her contact person in El Nido to provide us a guide so we didn’t have to look for one. However, if you’re doing it DIY, you can ask around for locals who can guide you up the monolith. 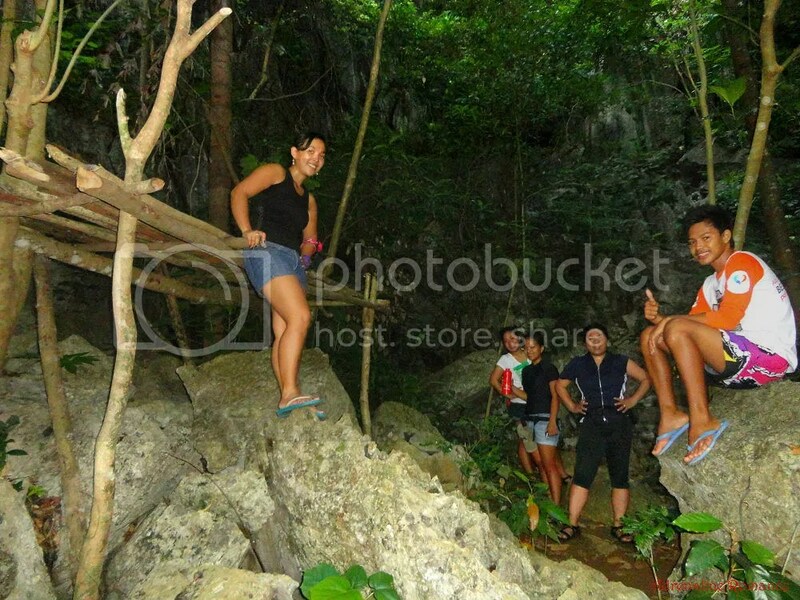 A good start is to ask the various tour operators in El Nido poblacion if they know anyone who can guide you. 2. 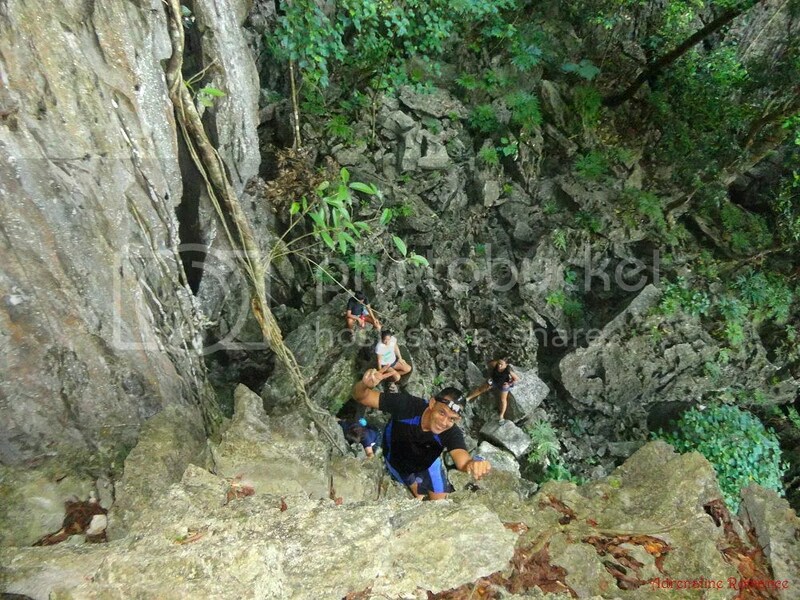 There is no fixed guide fee for a Taraw Peak climb. In our case, we paid P200 per person for 5 people. Thus, we are assuming that the price will be higher if there are fewer people on your team. A good benchmark would be around P300 to P500 per person. 3. 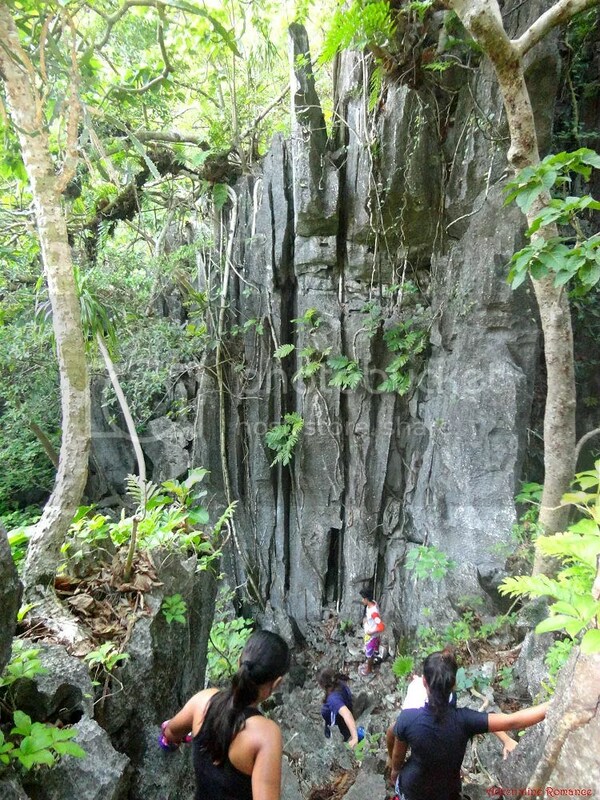 Climbing up Taraw Peak takes around an hour if you and your team can sustain a relatively good pace. With such a pace, it will also take you another hour to descend the monolith. 4. Climb Taraw Peak when there is daylight. We started ours before sunrise, and it was a bit tricky due to lack of light (that’s why we brought along a headlamp). However, we actually recommend an early morning climb before the hot mid-morning sun burns the land. Needless to say, don’t climb the monolith at night. Be vigilant of your time and pacing if you want to climb Taraw Peak to catch the afternoon rays of the sun or the sunset itself. Be sure there is still enough light when you descend the monolith. 5. 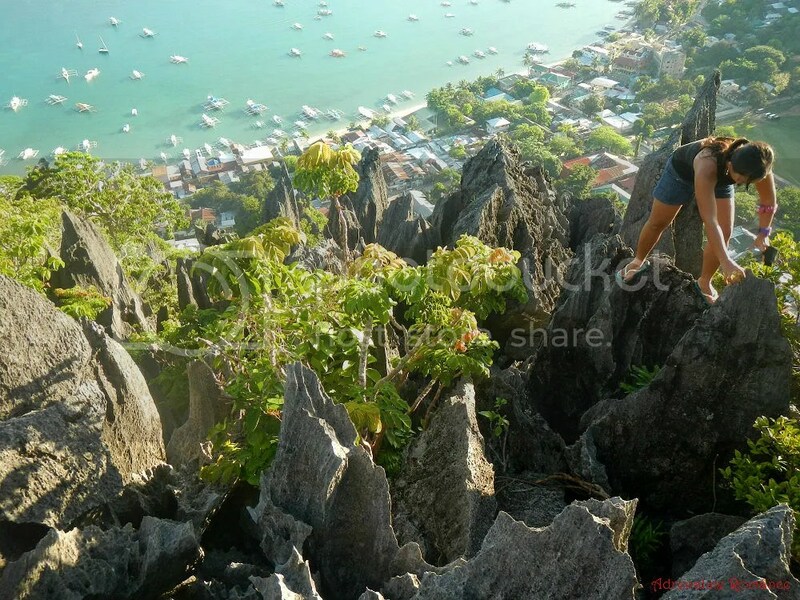 Be sure to watch your handholds and footing when you ascend Taraw Peak as it involves a lot of scrambling. There are numerous handholds and footholds that make the climb relatively easy. Still, be careful of sharp or loose holds or slippery ledges. 6. Do not climb the monolith if it’s raining or when it rained hard the night before. Limestone can be dangerously slippery on wet conditions. 7. Wear good-quality trekking shoes or sandals with a thick sole and an aggressive tread. The trail is quite rocky, and your footwear will definitely need to endure a good beating. 8. Wear arm guards, leg guards and hand gloves to protect yourself from the sun, plants that can scratch your skin and most especially from rocks that are quite sharp. 9. Take salt tablets or beverages that are filled with ions (e.g. Gatorade, coconut water, etc) besides water. The steep ascent can squeeze the fluids off you. When you lose enough ions and salts through your sweat, you will suffer cramps. Remedy cramps by resting for awhile and eat salt to replenish the ions you lost. 10. Bring energy-rich trail food such as nuts, crackers, bread, and bananas. oh, gawd. this takes me back to that day i thought i was gonna die! lol. but looking back on it now, yeah, i have to say it was a pretty awesome experience for a girly girl such as myself. Thanks for commenting! 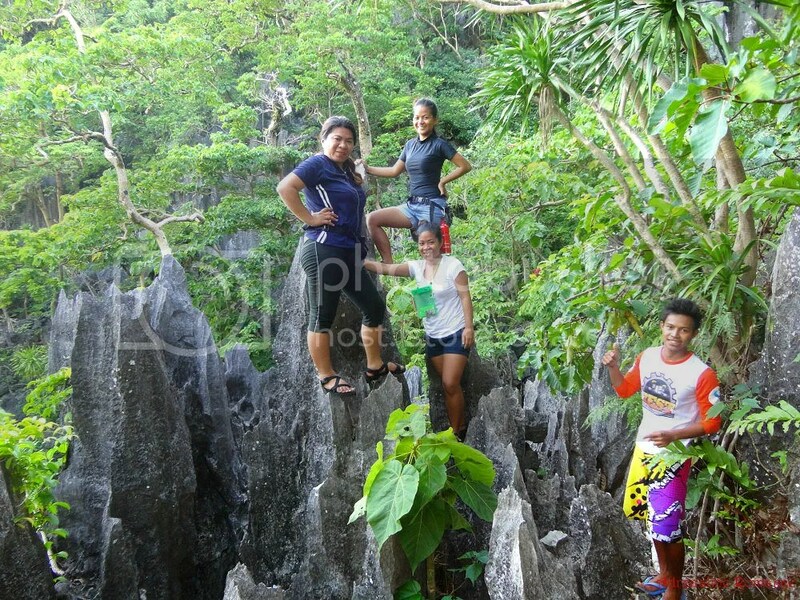 Actually, we made sure to include climbing Taraw Peak during our El Nido trip so we can do our morning exercise! Hehehe! El Nido is really awesome! Hehe! Thank you. By the time, we went down, we were soaked in sweat, and we felt really great! Oh, yes, there are plenty of good boulders there that are ideal for bouldering. Too bad we didn’t bring our rock shoes and chalk bags. twelve years ago, I just stared in awe at this monolith…if only I had been a climber then, this trek would never have escaped my itinerary…but what the hell! there’s always a second time! Thank you very much for your comment and praise. Regarding your question, no, those two climbs are the only ways to get to the top of that monolith. The climbs are more or less 20 feet. However, don’t worry, it’s not really as hard as it looks. There are plenty of handholds and footholds; it’s similar to climbing up or down a very steep set of stairs. Thank you so much for visiting our humble blog. Regarding your question, climbing the vertical sections is unavoidable because they are part of the route. However, don’t worry it is relatively easy because the handholds and footholds are large. Unfortunately, we don’t have DJ’s number as our accommodations and tour provider took care of the service. But you can ask the tour operator whom you booked with to arrange a guide for you. 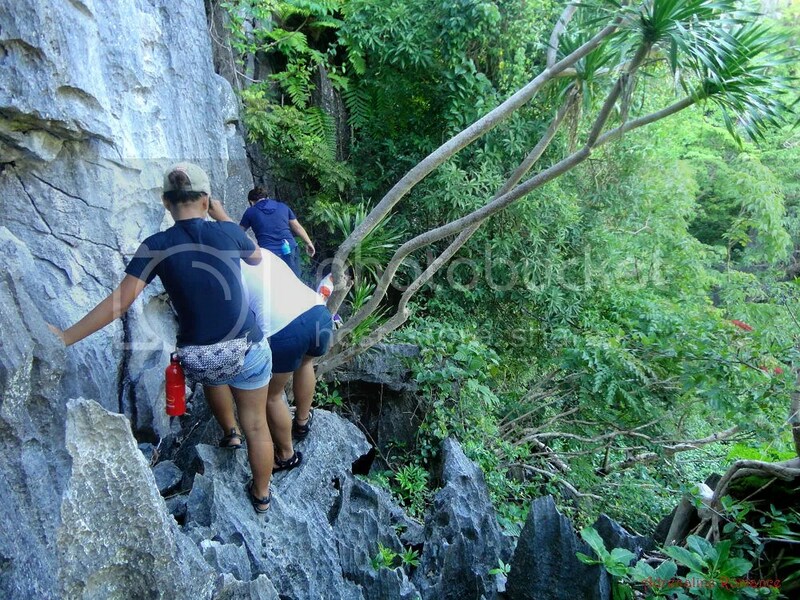 There are many qualified local guides who can get you safely on and off Taraw Peak. Regarding your hypertensive friend, if he wants to climb Taraw Peak, it is best if he consults a doctor first. You should! And the vista of Bacuit Bay is really gorgeous. Regarding your question, no, you don’t need to be a professional. The handholds and footholds are large. But as usual in all outdoor activities, just exercise care. Thank you very much, Emee! 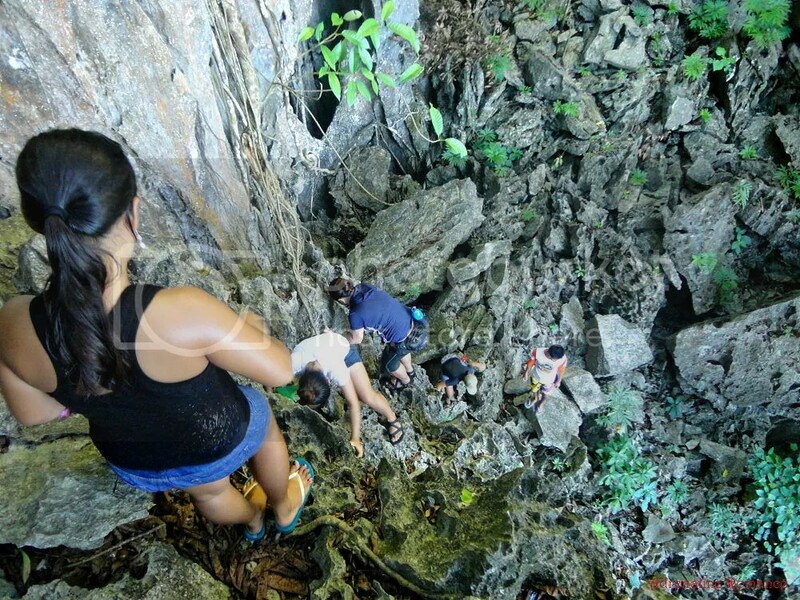 Are you planning to go to El Nido? Hi! Do u have a contact number of ur guide? No, we don’t have his contact number because it was our tour provider who arranged our climb with him. But don’t worry, you can approach the El Nido tourism office, barangay hall, or your tour provider so they can get a guide for you. I couldn’t be any more excited after stumbling on this article. I guess I just have to insert this activity into my itinerary. Climb the peak at sunrise, then go island hopping, but I need to condition myself to catch your pace. Yes, that’s what we did. It’s totally awesome! This is a much detailed guide! Thanks! Sadly the cliff is off limits. Do you know if it’s open now? 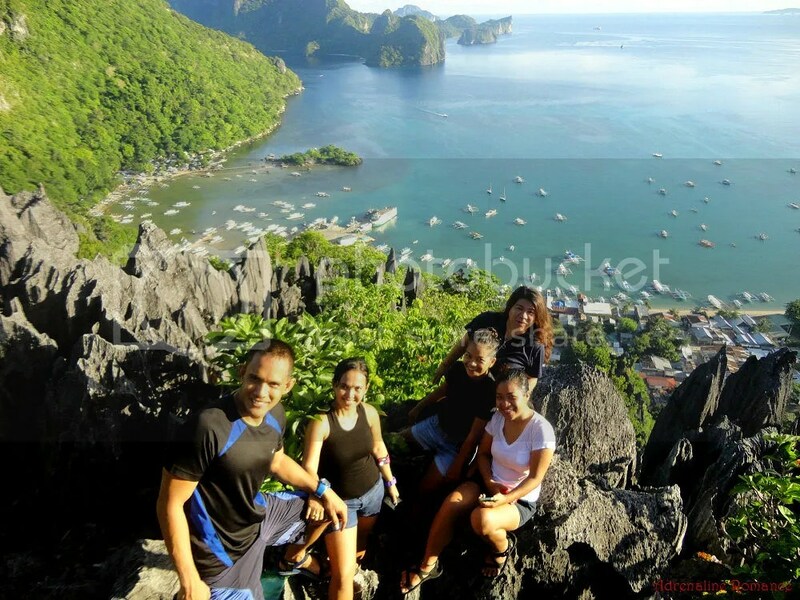 We’ve seen FB photos of our friends on Taraw Peak, and those photos were taken after our sojourn in El Nido.